Your vehicle comes complete with a full list of recommended spare parts and consumables. You can find our warehouses all over the world, so we’re always close by! Shipments can be bundled and sent by sea or air when it’s urgent. We can also assist you with the identification of parts or take everything off your hands. 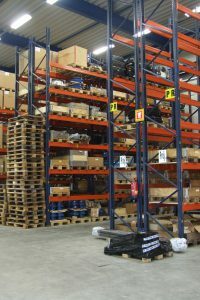 We provide you with the correct stock level of critical spares to ensure maximium uptime of your machines. Just ask!